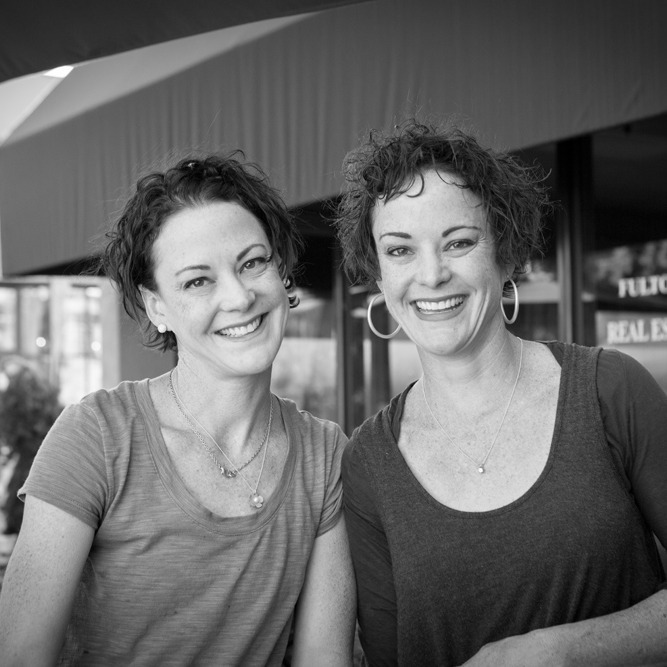 Growing up on a farm near the border city of El Paso, Texas, Callie and Maeme Rasberry developed a love for good fresh food from their parents. “We always ate at home and much of our food came straight from the garden.” After earning a business degree from University of Texas at San Antonio, the twins set their sights on owning their own restaurant. To gain experience, they went to work at a couple San Antonio eateries, where they learned about food prep, waiting tables and customer service. In 1999, they relocated to the Wood River Valley and began managing a local restaurant. When a small catering business in the basement of the 411 Building in Ketchum went up for sale, they jumped on the chance to purchase it – and Rasberrys was born. Depending on the season, the Rasberry sisters source as much as 65 to 90 percent of their ingredients locally. “We’ve always had the same ideas about the importance of fresh local food,” says Callie. When did you realize that you wanted to be chefs? We didn’t exactly dream of being chefs. It all stemmed from our business degree. We decided that we wanted to own a restaurant. The cooking part came later. Food that takes care of your body, your mind, your soul and the earth. Our parents, who taught us the importance of fresh homemade food. They also instilled that food was fun. We weren’t allowed to say “I don’t like it – I just want mac and cheese.” We always ate what was on the table, and it was always fresh and healthy. Anything that’s healthy and fresh! We think it’s really important. Food doesn’t have to have a USDA certified organic seal on it. A lot of farmers around here are not certified organic but they do practice clean growing standards and don’t use any pesticides and chemicals. Yes – we’ll do anything that we can to avoid them. GMOs are completely changing the biology of the food that we’ve been eating for thousands and thousands of years. We can’t prove it, but we suspect that they’re contributing to the growing rate of food sensitivities, intolerances and allergies. We hope to teach people that you can eat fresh healthy food, and it doesn’t have to be time consuming or expensive. We also would like to help reduce food waste. Americans waste so much food! We have seen grocery stores pull perfectly good food off shelves and throw it in the garbage. We try not to throw anything in the garbage. We use vegetable scraps to make chicken stock or place them in a big bin for local farmers to use as animal feed. At home, we have a worm bin and make compost for our garden. We are passionate about it and make the time. Our current system provides incentives to farmers who use GMOs and pesticides instead of organic growers. It promotes cheap unhealthy food instead of healthy organic local food. It should be the other way around! We would like to see more food education for children, so they can develop a taste for fresh healthy food from a young age. Our schools should serve more healthy fresh food and teach students to love it through school gardens. We need to start doing it now so our kids can have a life expectancy that is as long as ours.